From the rose ceremony to the wedding ceremony. The Bachelor Australia's Sam Wood and Snezana Markoski are married! The couple, both 38, tied the knot in an intimate ceremony at Byron Bay's famed Fig Tree restaurant in the region's hinterland on Nov. 29. In a series of newly released bridal portraits shot by Alice Mahran, Snezana can be seen glowing in a long-sleeve custom lace Pallas Haute Couture gown, with the 28 by Sam Wood founder looking dapper in a light suit from Bespoke of Melbourne. "Mr. and Mrs. Wood," Snezana simply captioned a wedding photo on Instagram. As they exchanged vows in front of family and friends, Snezana's 13-year-old daughter Eve served as a bridesmaid, while the couple's toddler, 14-month-old Willow, acted as flower girl in a Coco Blush dress. 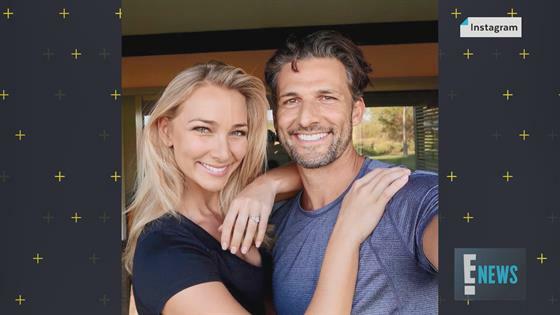 The Melbourne fitness guru and Perth single mum met on The Bachelor Australia in 2015 before becoming engaged that December in Tasmania and welcoming their daughter Willow in October 2017. "It's kind of crazy how much we've been through in such a short period of time," Sam told 9Honey in June. "I think it just consolidates everything. I mean it was kind of this crazy way that you meet, and then Snez and Eve moved to Melbourne and that kind of felt like a really big step. Then we got engaged and that was a really big step. And then when Willow was born I think that was a really the biggest thing ever…I think we'll have another child at some stage as well...what a wild ride." Sam and Snez are the second Bachelor Australia couple to make it to the altar, after Season 1's Anna Heinrich and Tim Robards wed in a lavish Italian ceremony earlier this year. The Bachelor Australia Couples: Who's Still Together?